LAND O' LAKES - If you walk up to Chris Usher’s house in Land O’ Lakes, odds are he’ll know about it. 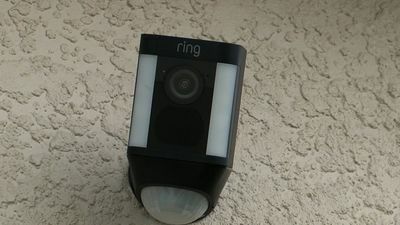 He’s got a Ring doorbell camera and one above the driveway he just installed. “My dad’s like you don’t need that,” Usher said. But the day after he put that camera up, something happened. 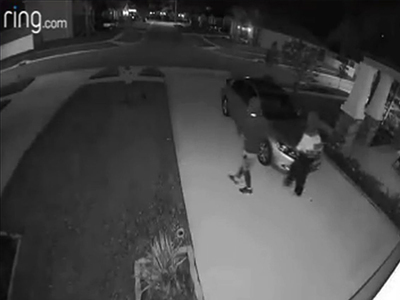 Video shows two people trying to break into his Honda Accord. You can even see the motion activated lights come on. “They didn’t seem too phased by it. They were very quick. I guess they are guaranteed people not waking up,” Usher said. Usher’s doors were locked early Monday morning, so the thieves didn’t steal from him. But a neighbor wasn’t so lucky. A video shows them easily getting into a van. Deputies said they stole a wallet with ten credit cards. The Pasco Sheriff’s Office says thieves have been breaking into cars all around the Concord Station and Ballantrae communities in Land O’ Lakes. They are once again targeting cars that are left unlocked. Another camera picked them up running by a house and deputies say they might be driving an older model red car, possibly a Dodge Stratus. More and more cameras are useful when it comes to trying to track down thieves. But as always the best way to stop these criminals, simply lock those doors.